Guitarist Rich Poston started his first original band in 1988. The four piece Psychotic Romance released a four song cassette and the band later resurfaced as a three piece called Requiem. In the late 1990s, Rich worked in many cover bands, most notably, Mary Ann and the Professors. 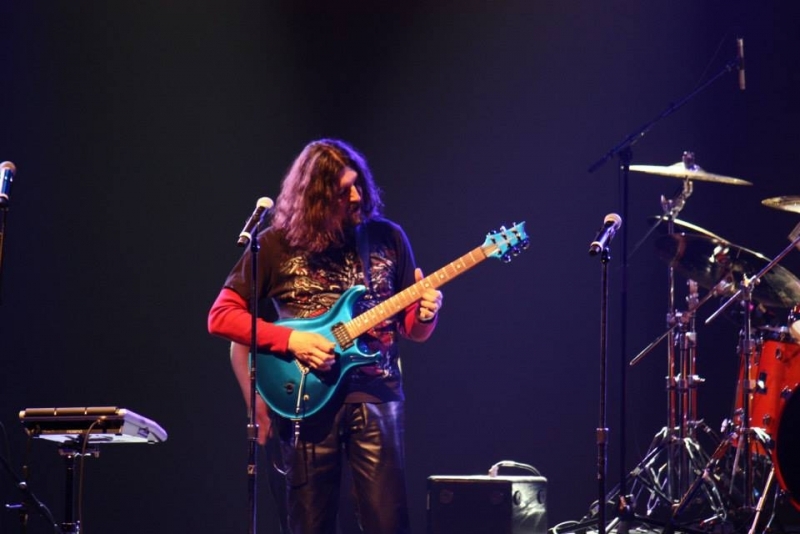 He kept his love for progressive rock alive by performing with the Genesis tribute band, Cinema and the Frank Zappa influenced Dr. Bizarro and the Disgustos. In 2004, Rich took another stab at original music with the mainstream rock band, 4 Letter Words and released the CD “4LW.” Soon after, he became involved with the Jethro Tull tribute, Silver Pipe (as a keyboardist!) where he started working with Steve Royce and Luis Nasser. Now Rich performs with three original progressive rock bands: Department of Revenge, Origin of Animal, and of course, Sonus Umbra.